We first dowse the location for harmful vibrations from underground. Our treatment depends on the intensity and area under the influence of those vibrations. We may advises either realignment of elements or different types of neutralizers. Second part is dedicated to clearing from non-beneficial energy forms and patterns. In this part we use traditional, ancient procedures of removing those energies and taking them when they belong. They are replaced with frequencies of White and Golden Light – the most beneficial for human body, mind and spirit. Map dowsing is an advanced application of dowsing, But first, let’s talk about what map dowsing is. 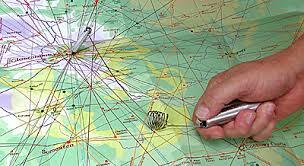 When you dowse a map or sketch, you are usually working at a distance from the property or person you are dowsing about. The map or sketch is a representation of that property or person’s body. You use the map to dowse the location of whatever you are seeking.